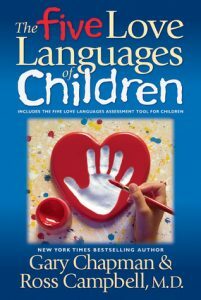 When I read The 5 Love Languages of Children years ago it truly revolutionized the way I parented my children. I remember there were several moments while reading when a light bulb would go off and I wanted to smack myself on the forehead for missing what seemed, in retrospect, so obvious. Rereading the book this time I was struck by how much I had forgotten about the different love languages and the way they manifest themselves. Yesterday I was having an email exchange with Isabel and I told her I was having my oldest son’s high school football team over for dinner that night. She replied that his love language must be “acts of service.” I emailed back that No, it was my love language and that is why I always end up volunteering for things. I show my love by doing things for other people. Unfortunately, as I am sure all of you already know who have read the book, the way that we personally feel loved, and therefore show love, is not the way that other people feel loved. I think the love language “gifts” is the most difficult to reconcile with our children’s personalities. First of all it seems so materialistic and consumer driven, like the child is greedy or selfish. Second of all, all kids like gifts, don’t they? What I have discovered with my children and love languages is that your children will reveal to you what their love language is by the way they express love to other people. Do they wrap up treasures from their room and give them to you? Do they routinely make bookmarks, duct-tape wallets, or bracelets for their friends and family? If you are out shopping with them do they point out things that you should buy for other people? Do they get excited by a gift no matter how expensive or cool it is? To these kids the “gift” is a physical manifestation of love. It isn’t about commercialism. According to the authors, The 5 Love Languages of Children are: physical touch, words of affirmation, quality time, gifts, and acts of service. One of those five is the primary love language. If you don’t speak that language, your child will not feel loved, no matter how much love you show them in other ways. I have discovered with my own children that most of them are bilingual, to keep with the language metaphor. Yes, one love language does inch out the others, but all my children have a second language that is almost as strong. My oldest son, I mentioned above, is also fluent in the “words of affirmation” love language. He has little notes I wrote to him years ago still saved in room. As a comparison, I wrote one of my younger sons a note and put it in his lunch bag. He never even mentioned it to me. When I asked if he had read it he replied, “Yeah. Thanks.” The note had been thrown away after lunch. This quote has always struck me. As an adult I hear many other adults say, “I never really felt like my parents loved me. Oh they took care of me and they weren’t mean to me, but I never felt really loved.” What a tragedy that is, to never have felt loved by the most important people in your life. Their parents likely had no idea, nor were the kids able to verbalize why they didn’t feel loved. After rereading this book it is on the forefront of my mind to make sure that I am consciously showing each of my children love in the way that makes them feel loved. With some of my children, it hasn’t been immediately clear what their love language is. I have had to take time and really examine what makes them feel the most loved. The authors, Gary Chapman and Ross Campbell, do have a website with an assessment test that might be helpful. 1. What about the book struck you? 2. 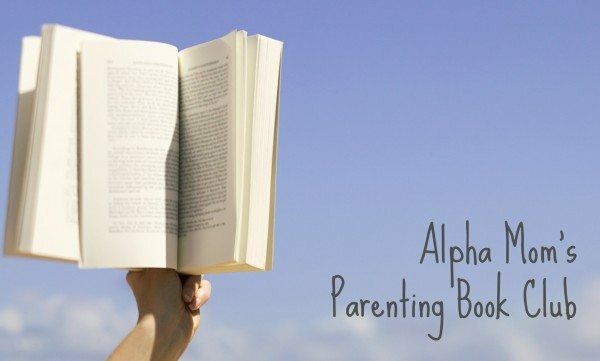 Is there anything that changed the way you thought about parenting your kids? 3. Did you recognize yourself or any of your children in the scenarios? 4. Have you shared your child’s love language with other people who interact with your child? If you have any questions yourself, please ask them below and we can discuss with one another using the “Reply” button on that comment. Just a reminder, it’s time to start reading How to Talk So Kids Will Listen & Listen So Kids Will Talk. Let’s meet back here on Tues, December 4th to discuss. Here are the discussions for our other picks: Far From The Tree, NurtureShock, and How To Talk So Kids Will Listen. Thanks for introducing me on this book- I think it helps me understand lots if people in my life just from your description of it. (I miss you regularly posting on your blog, by the way!) Now to go and get the full book. My husband and I read the original book when we were engaged. My love language is gifts. His is not. Not even close. My kids are ages 5, 3, and 1. The younger two I probably won’t know for a while. My oldest is a lot like me. He shows his love with gifts. He loves getting things and he is always talking about what toys he will give away. His language is easy for me. Now wishing I could get my husband to read this but he’s not a self-help book sort of guy. Working on dropping nuggets of information into general conversation as it’s such a useful way of looking at things and understanding people. Loving the conversation so far. One unexpected benefit of reading this book again is that my kids are now old enough to understand and appreciate it. They were fascinated and able to think of many examples of people we know and the different ways they show love. This book helped me discover that giving my daughter a head massage would just melt away her tantrum (she’s five). Like magic. Your child clearly speaks “act of service,” huh? My son has been doing nicely on his spelling tests and both my husband and I have been praising him for his hard work (“words of affirmation”). He has been appreciative. But, my husband, who is fluent is my son’s primary language “gifts,” instinctively offered to get him a special folder so that my son could keep all his completed spelling tests together. I never would have thought of that. That really showed me how I need to reframe how I think to address what makes my son feel loved. I have really enjoyed reading this book. I’m not finished yet, but am finding it very interesting and helpful. My kids are grown, but I work with students with special needs and it’s helping me to meet their needs & help their parents communicate more successfully with them at home. Thanks again for the recommendation. Thank you so much for this feedback. I love hearing this. I thought my son would be Quality Time and was shocked when he took the quiz and was Words of Affirmation. I am going to work on giving him those and see if it has an impact. I knew my daughter would be Physical Touch which she was but she was also equally Receiving Gifts which was a little surprising also. Hi! I have found this book to be amazing! I really think that the most important thing to teach kids is LOVE and I really like what it says at the beginning about love being a foundation to “a secure child”. 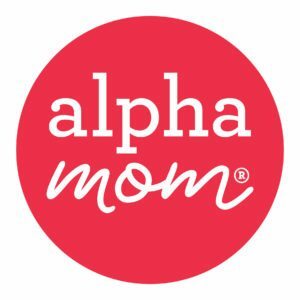 Since I am a new mom to a 5 month old, reading about the importance of creating an emotional foundation in the first 18 months has really helped me to set my work at home aside and spend quality time with her!! I’d love to hear what you suggest for new grandparents…. I’m sure there are rules for this based upon Howe parented…..